Well, the Belarusian tech site Onliner.by made waves yesterday by publishing the clearest photos yet of the alleged LG Nexus, the E960. Now the site has published a quick and dirty review of the unannounced phone, which may go down as one of the worst kept secrets in smartphone history. An editor at the site claims to have scored a prototype version of the handset, and as such, any judgements made should be taken with a grain of salt. There were plenty of bugs, including serious issues with Android Beam, which in our experience has never really worked as well as advertised anyway. This model also only comes packing 8GB of storage, which will most certainly change before launch given its lack of a microSD slot. The site found that both the screen and the 8-megapixel camera were a vast improvement over the Galaxy Nexus, however benchmarks showed that while it's quad-core Snapdragon outpaced last-year's Nexus, it didn't put up the staggering numbers many were expecting. For the complete review hit up the source. 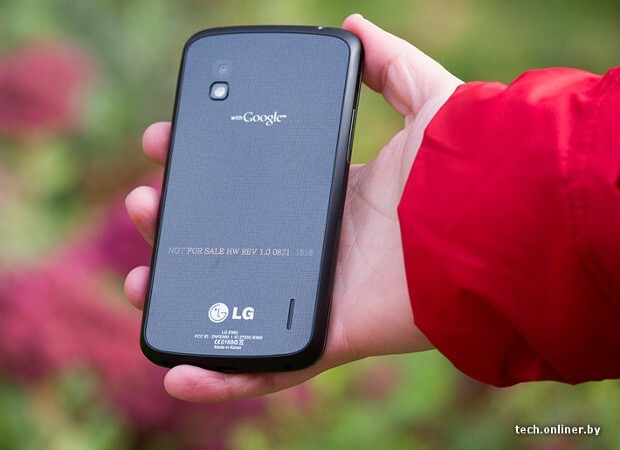 LG Nexus 4 reviewed by Belarusian tech site originally appeared on Engadget on Fri, 12 Oct 2012 13:42:00 EDT. Please see our terms for use of feeds.